The internet is now a vital resource in today’s society and while there are lots of people that think this new digital age is only relevant to the younger generation, this is far from the case. Now there are countless resources and websites for older people to use. These offer up advice on anything from travel to health, technology to the latest compression socks on the market. You really can find an answer to any question you may have. We’ve found 50 helpful and useful resources and websites that will certainly interest older people and you can find out about them below. 50 Shades of Age is a travel and lifestyle site for the over fifties and was founded in 2012 by Kathy Marris who hoped to motivate older people to live the best lives that they can possibly live. The blog focuses mainly on travel, but it also shares tips on keeping active and healthy as you age. A Taste for Travel is a culinary travel blog for people who love food, drink and sun destinations. Since 2009, it has been showcasing destinations, cultures and recipes from around the world. Whether you're interested in immersing yourself in the local culture of an emerging destination or seeing bucket-list sights on a small-group luxury tour, the travel tips, advice and itineraries are designed to help you discover the best of Mexico, the Caribbean, Latin America and Europe plus a few places in between. If you're not ready to hit the road and are more of an armchair traveller who loves to cook (or daydream about cooking), you can shake up your normal dinner routine with the blogs hand-picked global recipes that will introduce you to new flavours and ingredients. Or, perhaps they'll remind you of favourite dishes from your own travels! Michele Peterson, the blogger behind A Taste for Travel, talks about why the older generation should read the blog: “Active older adults who are retired have flexibility in their travel dates which means they can often travel in the colder seasons and get great value. Exploring destinations in the off-season also means fewer crowds, a more leisurely pace and less standing in line, all of which is appealing for senior travellers who don't want to come back exhausted from a vacation. The website Golden Age Trips mainly addresses the need for more content dedicated to travellers between the "budget" and "luxury" categories. It also focuses on intergenerational travellers looking for an immersive travel experience. Written by professional travel writers, Janice and George Mucalov, Sand In My Suitcase is illustrated with beautiful photos and packed with useful travel information. Janice Mucalov, tells us about the site: “Yes, you’re mature. But that doesn’t mean you’ve lost your spirit for adventure or your taste for a little luxury when you travel. Indeed, with children grown and more than a few pennies in your pockets, you may have more of an ability to indulge those interests now. For any green-fingered gardeners out there, then you should read The Enduring Gardener, which features the gardening blog of Stephanie Donaldson. Stephanie is not only a hands-on gardener but was the Gardens Editor of Country Living magazine and now writes freelance for many publications as well as being the author of many gardening books. Posts cover a range of gardening topics such as how to grow a garden on your windowsill and a review of 2018. If you’re a foodie, then this is the blog you need to follow. Karen, a South African born travel writer who now resides in North Wales, shares recipes for foods from all over the world that you can try and replicate at home. Here Suzanne Fluhr, a former attorney in the US, writes about baby boomer travels and shares her tips for travelling as an older adult. On the Adventures of a Carry-On blog, you’ll find the musings of Penny Sadler who fills it with all the things she loves; art, architecture, culture, people, food, wine and travel. Here you can read first-hand accounts of her adventures. This site embraces every topic that relates to women over 50 including fashion and beauty, relationships, health, wellness, career and passions. There are also contests and giveaways for readers and specialist content such as “Ask a Life Coach”. This is a place that shares stories and discusses being in your 60s by exploring topics like friendship, partners, pop culture, self-reflection and other information about the world older people live in today. After a 30-year career in publishing, Tom Bartel and Kristin Henning shed their last publication, their house, and most of their possessions as they decided to travel the world. Their blog documents their travels and is designed for travellers over 50 to inspire you to visit your dream destination. It also will help you learn about countries you may not have considered visiting. A fascinating food blog which focuses on food travel and cultural exploration around the world. The site is run by Anita Breland and Tom Fakler, who are expats and avid ‘boomer’ travellers. If you are a foodie and want to find out about local delicacies from around the world or are going on holiday and want to find out the different foods you can try, then you should head to this blog to find out about the authentic flavours you should sample. There aren’t too many places on the internet where you can find out about the latest technology for older adults, but on the Aging In Place Technology Watch website you can find out about the latest devices being released and other new technologies. Caron Cares offers a great source of information for anyone caring for someone elderly or someone with dementia. It is useful for professional carers but more so for family caregivers who often find themselves “accidental carers” and have little or no idea what to do or what help is available. Caron Sprake, who has a background in care work spanning more than three decades and the lady behind the site, tells us about the award-winning blog. Caron Cares covers anything and everything to do with being elderly from entitlements to State Benefits to incontinence pad rationing! Caron is known for her honest attitude yet writes with passion, insight and compassion. The blog also hosts media articles from the press to help collate relevant news for readers to save people hunting for them plus a resources page which is constantly evolving. The national anti-poverty charity’s website is home to a Benefits Calculator, a Grants Search and a host of information pages. Each year Turn2us give around £4m in charitable grants, which can be applied for online through the website. “If you are struggling financially, Turn2us can help you access money and stop you falling into debt. The Benefits Calculator only takes 10 minutes to fill out and it will tell you all of the benefits you may be entitled to. The Grants Search is also a great tool, where you can find out if you are eligible for a grant from thousands of charitable funds. Turn2us also have a series of guides on things like Pension Credit, Attendance Allowance and Winter Fuel Payments, which can be really helpful when trying to navigate the complex world of welfare. Playlist for Life is the UK’s leading music and dementia charity, and the website offers people with dementia (as well as carers, family, healthcare professionals, and community organisations) information and tips on all things related to personal playlists. The site provides information on how to find the right music, using playlists properly, how to listen to playlists (i.e. which technology to use), and also the benefits of using personal playlists in the daily care of someone with dementia. Maryah Itani, the Digital Communications Officer at Playlist for Life, adds, “There is a growing body of research highlighting the benefits of using personally meaningful music in dementia care. While more people are growing aware of those benefits, at the moment, very few people have their personal playlist ready. Euan’s Guide makes it easier for disabled people to find great places to go. The disabled access review website was founded in 2013 by Euan MacDonald, who is a powerchair user, and his sister Kiki. As Euan’s access requirements changed, both went in search of recommendations for accessible places to visit but a platform for this didn’t exist. Built as a friendly and honest alternative to hours of web searching and phone calls before visiting somewhere new, Euan’s Guide now has thousands of disabled access reviews and listings for places all over the UK and beyond. Author Ian Rankin describes it as "Trip Advisor with wheels on." A great resource for older adults looking for independent advice about downsizing, moving into a retirement village or investing in a property that will generate income for your grandchildren. This site is a great resource for boomers, retirees and people planning their retirement years. The site is now the premier destination for reaching updated content and information on just about every subject of interest to the 45-70 age group and includes thousands of links to sites that provide more in-depth information. Grandparents Plus is the only national charity (England and Wales) dedicated to grandparents and their role in the care and development of their grandchildren. This site has information on it that helps grandparents in all kinds of situations, whether they’re taking on grandchildren full-time or are just after advice when looking after them. Look Fabulous Forever is a makeup and skincare brand aimed at women over 50. The website is a great place if you're looking for inspiration and advice about your makeup and there are lots of tutorial videos which show a huge range of tips and techniques from how to hide dark under eye circles to ideas for special occasions. A great tool on the website is the ‘Solve a Dilemma’ section, which allows you to search products by what problem they solve, whether that's uneven skin tone or hooded eyes. There is even a makeovers gallery which shows women aged from 50 to 80 with and without their makeup and also which products were used in their makeover. When They Get Older is a web site offering tips and advice to families who want the best for their older friends and relatives, whether they’re nearby or hundreds of miles away, living independently or cared for in a home. Kathy Lawrence, the owner, editor and lead blogger on When They Get Older, says, “We don’t just publish information. We share experiences. With 1.6 million people in the UK today acting as multi-generational carers, we know we’re not alone. That’s why we also focus on making sure those who care are caring for themselves as well. “To help families find a way through what can sometimes be difficult times, we have our own ‘agony aunt’ in the form of Dr Lesley Trenner, a life coach and eldercare specialist. “Today we offer over 260 useful articles on the site. That includes helpful download guides on topics such as how to cope with learning loss in the family, avoiding loneliness, and creating a supportive environment for those with dementia. And where we don’t have the answers, we’ll point you in the direction of those who do. This site aims to make life more fun and enjoyable for people over the age of 50 and shares tips and advice on ways you can make the most of your life in every way. Topics the site covers include health, travel, work, retirement, leisure and finance. After launching in 1990, the Moneywise website has been informing and educating millions of people about making the most of their money and this includes older people investing capital and managing their pension. The experts at Moneywise study a wide range of financial issues in detail and use everyday language to explain even the most complicated of financial subjects. One of the UK’s biggest charities for older people, this site is for everyone interested in later life and our ageing society. Age UK’s vision is to make the UK a great place to grow older by inspiring, supporting and enabling older adults in a number of ways. Information and advice, health and care as well as wellbeing resources can be found on the site. There’s also the Age UK network that offers vital community support and campaigns and research conducted to help make later life better for older people. Senior Advisor runs a blog for families and this useful resource includes articles varying from decluttering an older person’s home, moving elderly parents closer to family members and senior care information. Independent Age offer clear, free and impartial advice on the issues that matter: care and support, money and benefits, health and mobility. The Silver Line is the only confidential, free helpline for older people in the UK which is open 24 hours a day, seven days a week. Callers can talk about anything they wish and every conversation is kept confidential. An award-winning elderly care service that provides non-medical, in-home care services to those who need it. Their website also shares the latest news on elderly care and links to several other resources that are useful to older people. Senior Planet shares information and resources that support ageing with attitude and helps older people born before the digital revolution to stay engaged and active by bringing a digital-technology focus to a range of topics. Slightly different from some of the other sites on our list, the A Place for Mom site is aimed at older people’s children, but it is still an interesting read for older adults. The site is the largest assisted living referral service, but in this blog, there are some great articles about retirement, finance and legal topics. The Evergreen Bed & Breakfast Club is a homestay travel network for people over the age of 50 and is the modern take on the B&B. Since its founding in 1982, the club has upheld the idea that people are evergreen; that people continue to grow – being good, vibrant, alert, productive, and important - no matter how many years have passed. Travel and unselfish interaction with others tend to bring out these vital qualities and the club helps seniors mentally regenerate through friendships and travel by providing alternatives to hotels. Members get insights from their host on the local treasures. It's worldwide travel lodging for FREE and a small gratuity to the host ($15/day). By joining, your guestroom is added to the network of nearly 2,000 homes and yearly membership is only $75 (around £55). Kayleigh Ebenrick from the Evergreen B&B Club, says, “I recommend that seniors join The Evergreen Bed & Breakfast Club because it benefits the soul. Its purpose is to help individuals find mental uplift by way of seeing new places and meeting new people (travel and friendship). Because of this, a trip becomes so much more than just a trip: it becomes a mentally invigorating adventure that helps individuals challenge the common beliefs associated with ageing. Hence the club's slogan: Make friends. Host well. Travel savvy. 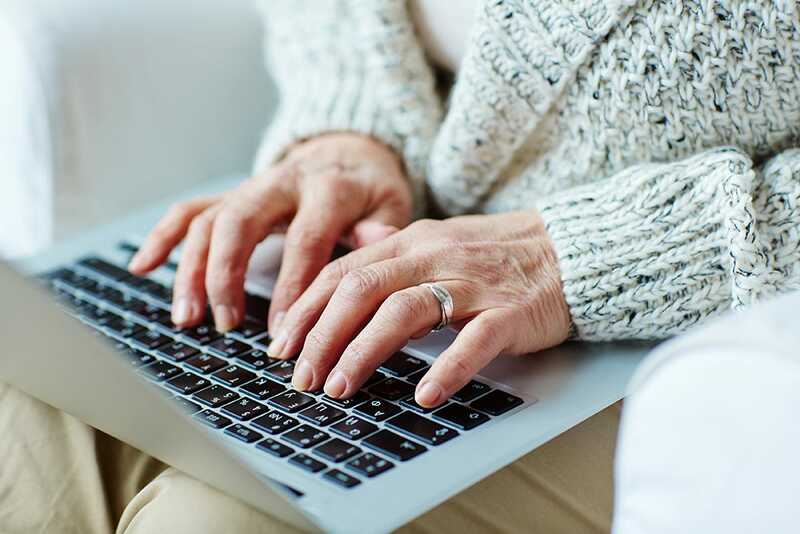 Silversurfers is the UK’s largest online community for the over 50s in the UK, providing news, reviews, forums, chat, information and discounts from 200 leading brands. It has thousands of informative articles ranging from all aspects of health, finance and travel to gardening and technology. Silversurfers.com has 175,000 members. Silversurfers Facebook is one of the most active and engaged community pages in the UK with over 610,000 members with an engagement of up to 6 million people monthly. For customers looking for special deals for the over 50s on insurance, holidays and health products Silversurfers is a trusted site. Silversurfers has thousands of features about news and reviews, health, travel, lifestyle, fashion and finance. There are lots of topics that will interest everyone aged over 50 and they have many new features being posted daily. They also have forums, chat rooms and daily debates on a wide variety of the latest current news. U3A (University of the Third Age) is a UK wide, cooperative movement of people in the third stage of their lives - retired or semi-retirement or no longer bringing up their family. U3A Third Agers come together to continue their educational, social and creative interests in a friendly and informal environment. There are currently 1,035 U3As around the country and the subjects learnt by members are wide-ranging and range from architecture and biology to yoga and zoology and every topic you can think of in between. There are around 10,000 U3A interest groups taking place in the UK every week. A website for women over 50 that has steadily built a community where experts and guest contributors inspire, share and inform on topics from health and finance, fitness and diet, empty nesting, style, relaunching careers, anti-ageing and a range of other topics and issues faced by over 50s. Sixtyplusurfers is a website for the over 60s and every month you can enter competitions, prize draws, and reader offers. There are also celebrity interviews, helpful features and articles, lifestyle advice, plenty of top tips, and topical articles. Sixtyplusurfers has its own Facebook, Twitter, and Chat and Socialise forum page. Jenny Itzcovitz, the editor at Sixtyplusurfers, says, “I would recommend people read Sixtyplusurfers as it's friendly, fun and free of charge to visit. We have been established since 2005 and have a loyal base of readers. Topics covered include fashion, beauty, travel, entertainment, music, health and wellbeing, homes and gardens, finance and property, retirement, pet care, food and drink, books and gifts. This useful site is dedicated to tackling loneliness and social isolation among older people living in the United Kingdom. Its mission is to encourage older people to make new social connections and break out of the cycle of social isolation. This interesting website brings people together to create thriving communities and become lifelong friends. Social meetups could see you visit a museum, try new food or just meet up with new people. Sixty and Me boast a community of 500,000 over 60s and it helps women of this age live happy, healthy and financially secure lives. The 200-plus experts write articles across a whole host of different topics like mindset, caring and beauty. Founded in 2013, Starts At 60 is now the largest digital community of over-60s in the world. Its media output ranges from fun ‘trending’ stories to helpful information and serious discussion points. If you love board games, then this site is the one for you as you can try a range of free crosswords ranging from easy to cryptic. There’s lots of other fun and games that can be had on the site and these vary from jigsaws, picture pieces, solitaire, tumble tiles and word games, to name a few. An online magazine that focuses on the lives of women over the age of 40 and it covers all issues affecting women at this stage of their lives. The original and curated content comes from a group of hundreds of writers. It’s the UK’s favourite family history website, offering members access to 1 billion searchable UK family history records. Ancestry.co.uk allows you to explore your family history using censuses, the fully indexed birth, marriage and death records, passenger lists, the British phone books, military and parish records. So, if you want to find out about your family history, then this is the place to go. Older adults who live far away from their family can stay close to their grandchildren and children, watch them grow and see their accomplishments on a computer screen. Getting together on a video call lets you meet over a hot drink from your dining room table. A great site for older people who struggle with their mobility is Tourism is for Everybody, which is a movement of individuals, businesses and policy-makers acting together to improve the experience for disabled tourists and travellers in the UK. If you have visited a city or an attraction that needs to improve its accessibility, then this website could help you. Designed2Enable is run by a husband and wife team, John and Katherine Pyne, who specialise in stylish daily living aids for the elderly and those with restricted mobility. The products range from walking aids, bathroom accessories (grab rails and shower seats), products for the house and home which include health, exercise, seating and kitchen and garden gadgets…. in fact, anything that makes life easier and more comfortable. Rose Reif, the owner of Reif Counseling Services, is a Licensed Professional Counsellor and Certified Rehabilitation Counsellor. Her site includes a blog called the 'Mental Wellness + Disability' and posts share resources and articles for people with disabilities and the people who love them. This site aims to fight the progression of neurodegenerative conditions and supporting people through exceptional brain health-focused care. You can read inspiring interviews and interesting articles, access useful tools, and download the latest guides about fighting the progress of dementia. This registered charity aims to make a real difference to the quality of later life for everyone. Since 2012 the charity has helped 1,200 older people live healthier and more independent lives and they work both in the community and in care homes too. Last, but certainly not least is our very own Cosyfeet website. Any older person who suffers from swollen feet can use our site to purchase extra roomy footwear, socks and can now buy a range of premium footcare solutions. You should also check out our Keep Active section to find out more about the premium-quality pain relief and mobility products that can help you in daily life. We have products that will help you when shopping, walking and exercising as well as items which will relieve pain, reduce swelling and more. - Considerable – a resource that provides useful, thought-provoking, and engaging content about the aspirations, challenges, and joys of being old. - Handicare - Handicare work in association with the Age UK Trading CIC to make decisions about Age UK mobility products, but their blog is full of accessible guides and other helpful articles for people suffering with mobility problems.